Buy "On Your Doorstep: Moths and Butterflies of Connemara"
Why I wrote "On Your Doorstep"
- Charlie Byrne's Bookshop, Galway. A small permanent collection of Heather's photographs of butterflies and moths of Connemara hangs in the Connemara National Park, Letterfrack. Postage is costly for a sizeable book like this; so, as a special offer, we are discounting the P&P cost of orders for posting the book to various world-wide destinations, by approximately 50%! "On Your Doorstep: Moths and Butterflies of Connemara", Heather Greer, Matador, 2016, including discounted P&P for destinations in Ireland/Northern Ireland. 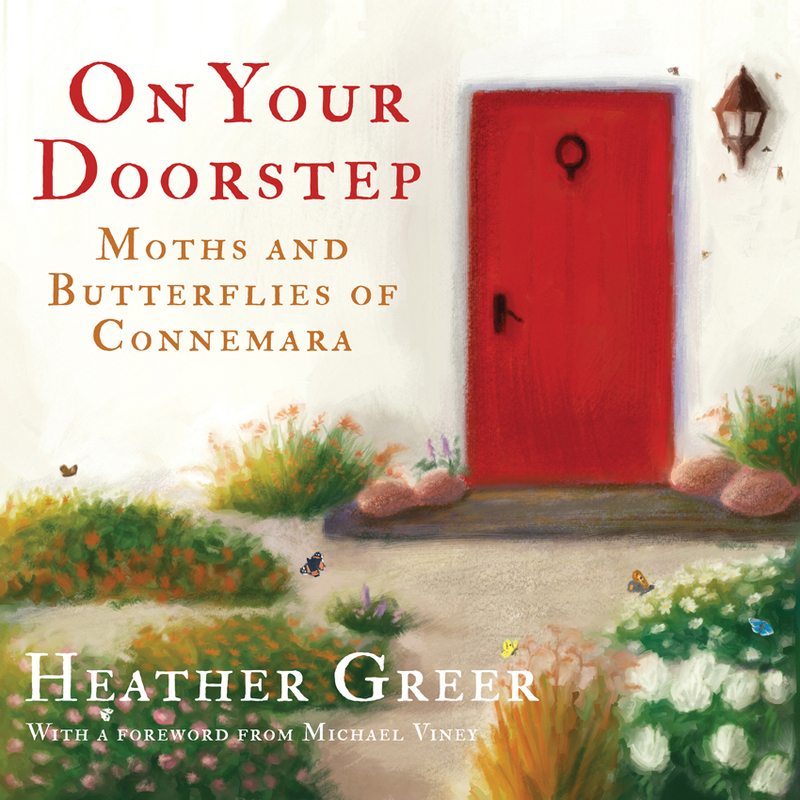 "On Your Doorstep: Moths and Butterflies of Connemara", Heather Greer, Matador, 2016, including discounted P&P for all destinations outside Europe. (2). If you prefer to order by post, using a cheque (Irish/Euro cheques only) or money/postal order, you can do so is you wish. REMEMBER: YOU MUST PROVIDE YOUR FULL NAME AND POSTAL ADDRESS!!! Please allow a week for delivery to Ireland/UK, and two weeks approx for delivery to other destinations. Postage will be by regular post, unless you request an alternative.